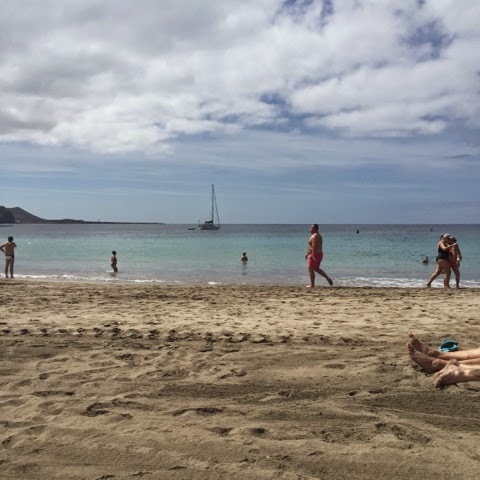 Tenerife 2k15 | Alicia S.
As some of you may know (due me spamming your ig feed daily) I’ve been in Puerto de la Cruz, Tenerife for two weeks thanks so this amazing programme Erasmus+. I went with 15 schoolmates and two teachers. We flew from Milano Bergamo with Ryanair. We went there to educate ourselves in Online Marketing and gain more experience in working online. We also got the chance to improve our english and learn some spanish words and phrases (uno cafe con leche por favor etc.). At the last working day of our stay in Tenerife we had a presentation of what we learned and experienced there with all of our lecturers and teachers watching. It was an amazing experience and I’d do it again anytime! We worked from Monday to Friday from 9am to 5pm and had the weekends and one friday off. It wasn’t really hard for us to work and listen to seminars, the only problem was the heat. It was fine in the morning but it got really hot in the afternoon. But we survived and finished all of our tasks for the day. In our free time we went to the hotel’s pool while it was still open, slept through the whole afternoon or go to the city for some cocktails or to do some shopping. The stores there are amazing and so much more stacked than our here. Me and two schoolmates went to La Villa shopping center where they have a ton of stores such as Stradivarius, Bershka, Zara, Pull&Bear, FootLocker etc. I bought a lot of stuff there oops. The taxi ride was quite expensive (13€ all together) but it was totally worth it. 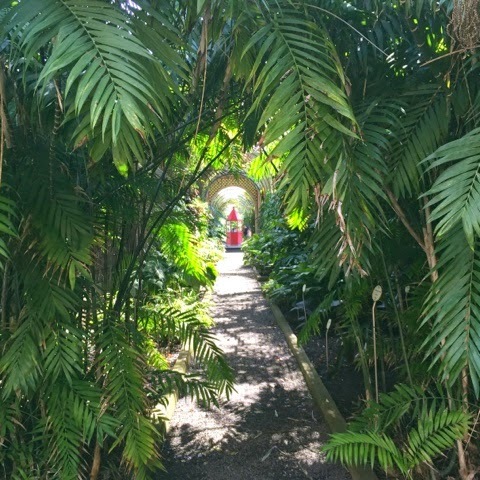 We went to Jardin Botanico as well, a botanical garden that looked like a real jungle. 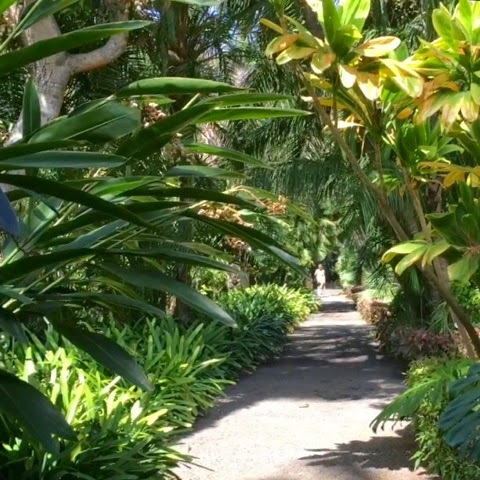 Everything there was so green and tropical, gosh! We also had a few trips on the weekends. 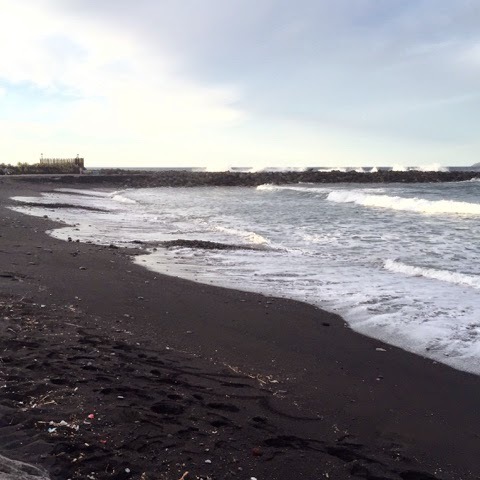 The first trip was on Sunday, our second day in Tenerife. 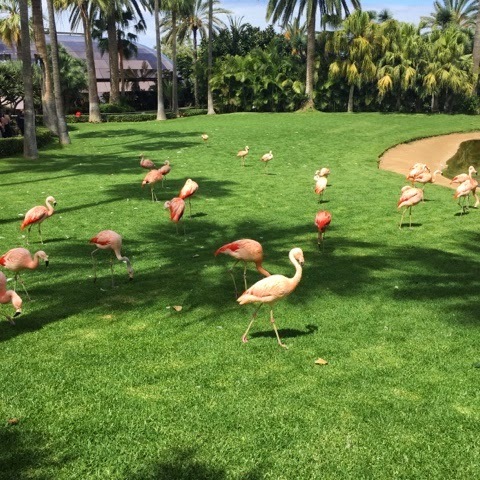 We visited Loro Parque, one of the best zoo’s I’ve ever been to. I really enjoyed the sea lion, dolphin and orcas show. It was so amazing to see all of the animals and the trainers cooperating. 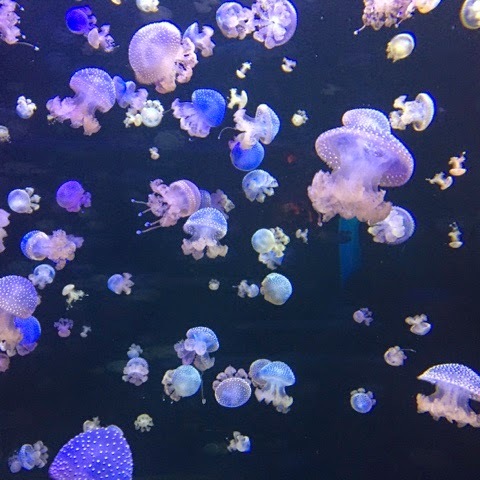 There were also a lot of birds, two white tigers, an amazing aquarium (where we spent most of our time), a huge penguin exhibition and so much more. It’s definitely worth a visit. 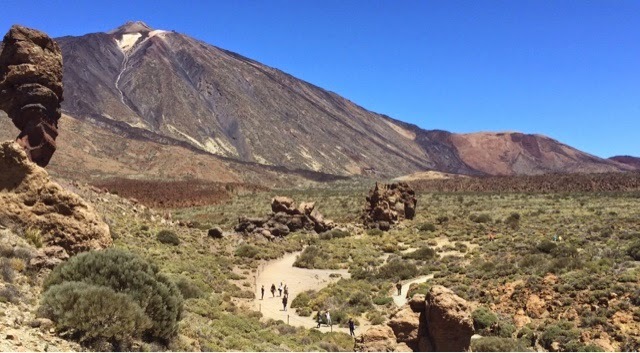 On the next weekend, on Saturday we went to El Teide, the vulcano and also the highest point of Tenerife. It was such an amazing experience and the view was amazing, it was just like out of the Star Wars movie. 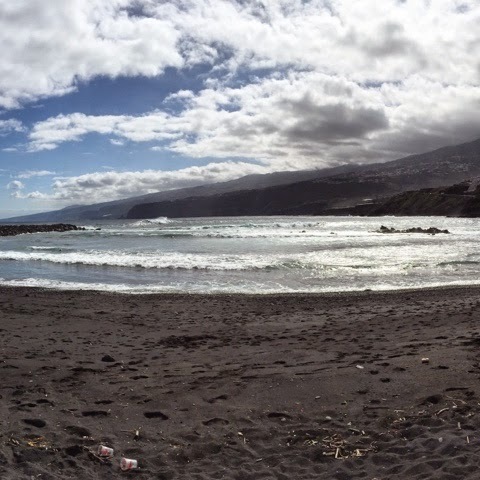 The following day we went to the South, to Playa de las Americas. 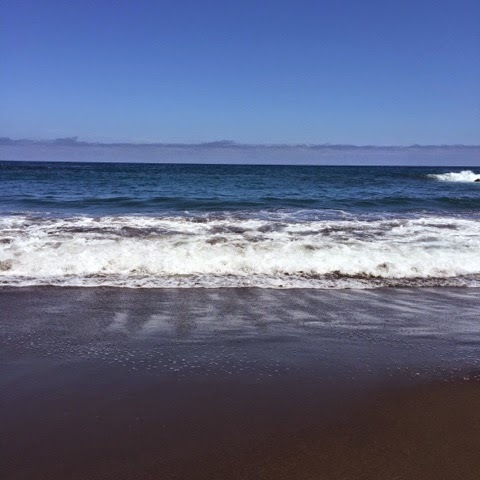 In Puerto de la Cruz, the city we were staying in, there are beaches with black, vulacano sand and on South there are beaches with regular, white sand. We spend the whole day there, sunbathing, swimming and shopping. 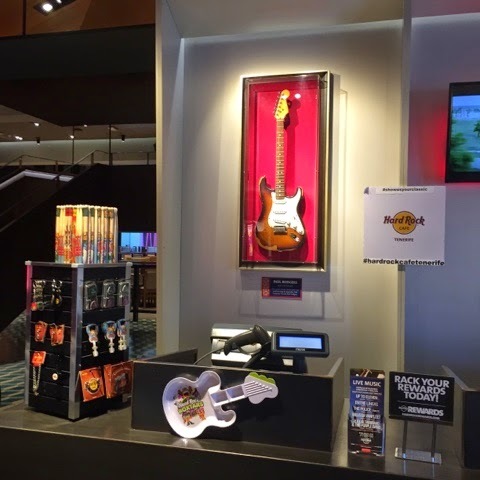 I bought a lot of stuff there, inlcuding a t-shirt from Hard Rock Cafe Tenerife and some sunnies. We had lunch on the beach in a small “restaurant”. 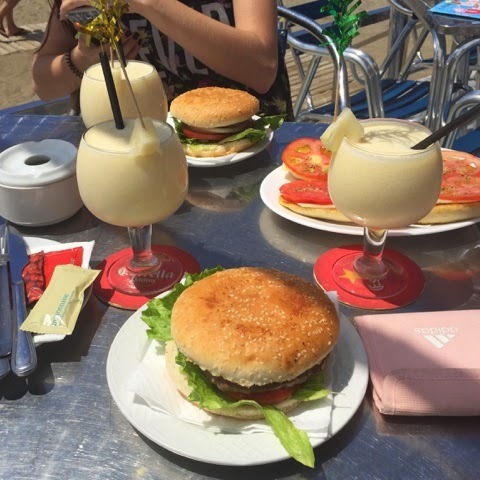 We ate burgers and drank the best Piña Colada ever! 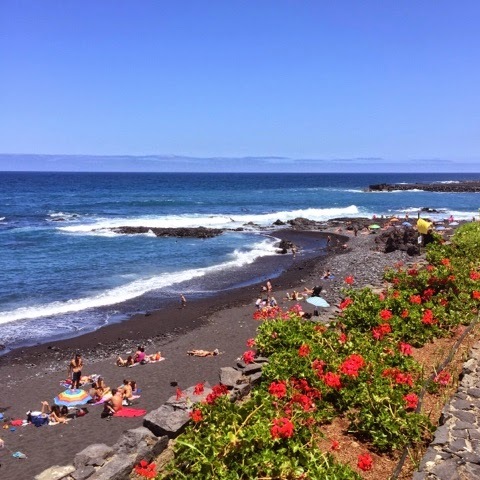 I personally liked the black sand more, but enjoyed swimming at the Playa de las Americas more because the waves weren’t as strong as on the Playa Jardin, where we went on the last day. It was 1st May and we had our day off and of course we decided to go to the beach. We took the free ride to Loro Parque with a city train and walked straight to the beach from there. The waves were really strong and there was an orange flag (meaning that it’s not advised to go in the water but you can still go, red means that it’s not allowed) but we went in the water anyways. I don’t regret it but I didn’t really like that the waves were so extreme and you couldn’t have even swam normally. But overall it was an awesome day. 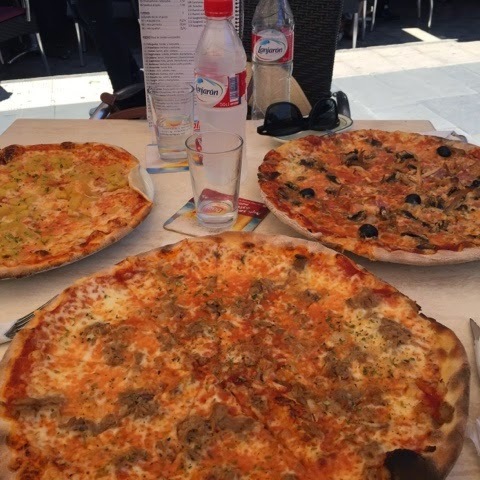 We got really hungry in the afternoon so we went looking for some pizza around the beach but we didn’t find any good pizzerias so we took the train back and went to our safe choice, the pizzeria Cosmopolita. It was really cheap but also really good! The prices in Tenerife are a bit lower, especially for water and food. Also spanish stores like Stradivarius, Bershka and Zara are a bit (maybe 5-8€) cheaper than here. Otherwise there is no difference in quality or standard. That’s pretty much it about my experience, if you have any questions feel free to ask me down below. I am also planning a new outfit post from Tenerife and it will be on soon so I’ll keep you posted!